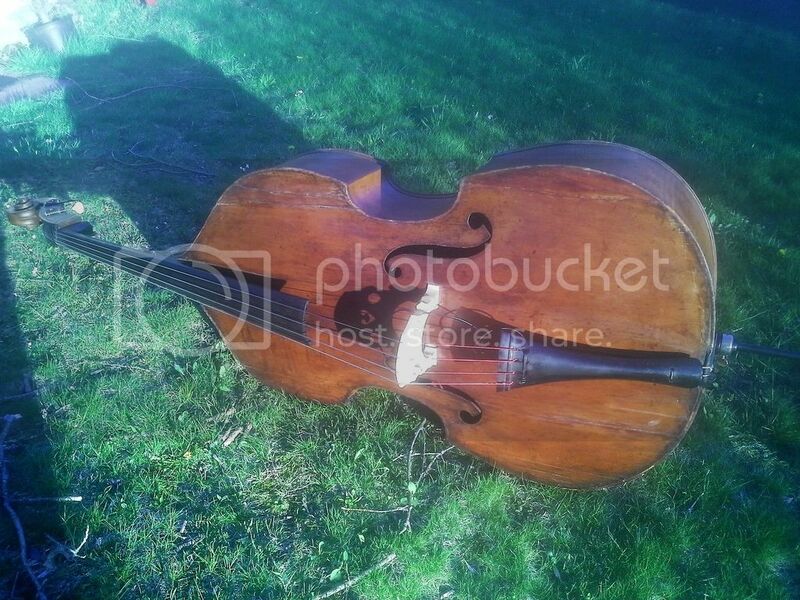 New Antique Upright Bass Day !!! Discussion in 'Bass Area; The Bottom Line' started by Sam Sherry, May 4, 2016. Want to talk about how "Old wood is good wood?" 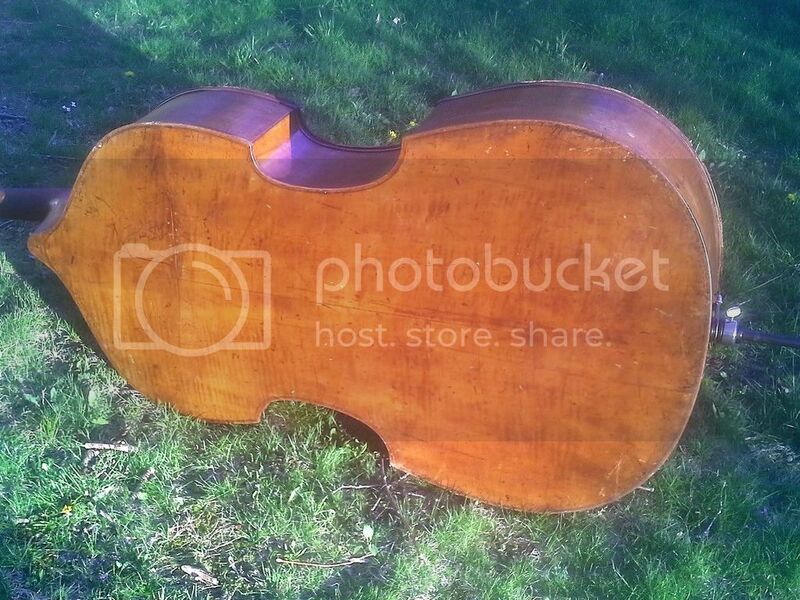 Here we go: Circa 1850 German double bass. 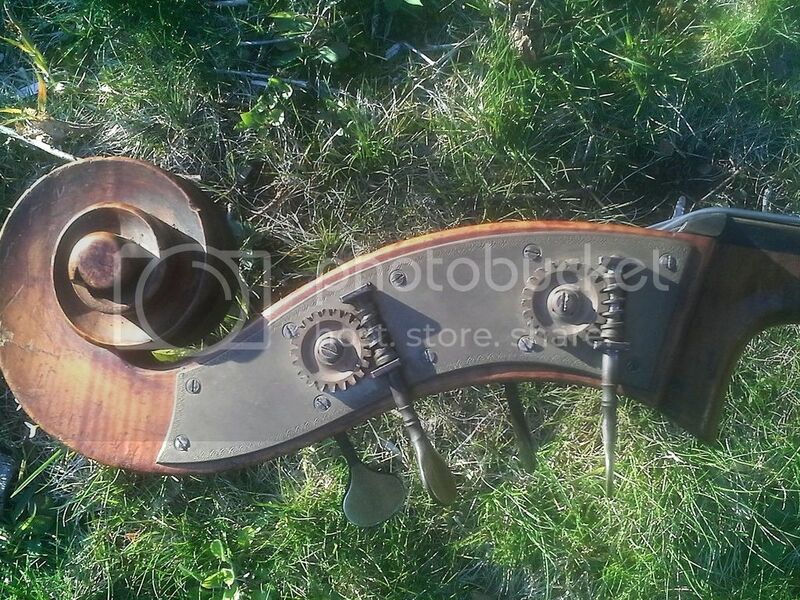 This instrument predates the American Civil War -- it's easily the oldest bass I have ever owned. Guitars come and go at my house, but this is my first new DB in ten years. Yes, it has had its full share of repairs over the past 165-or-so years. But Upton Bass has been through it so it is in sound condition. This instrument sounds just great -- deep, growly pizz and it loves the bow even with brand-new Spiros. And it's loud. Very loud. Other basses run away when this guy comes in the room. With luck, I will play it for a long time and it will keep playing long after I am gone! soulohio, justabubba, Chrome Dinette and 4 others like this. aren't you in the wrong half of TB? anyway, what size is it, and what pickup do you have on there? Wayull . . . yuh . . . TGP lacks New Antebellum Guitar Days. I wanted to make a contribution! I used to be a moderator on the TB/DB board. It gives me continued respect for the folks who moderate here at TGP. Medium-sized 3/4" instrument with a 43" mensure -- an extra inch of scale length where it counts. Ain't no flabby bottom on this guy! Underwood pickup, my number-one choice since 1978. This bass --> that pickup --> 1984 Walter Woods MI-225 --> 2x Euphic Audio VL-210 = The Voice Of The Bass!